Ships today if ordered in the next 7 hours and 25 minutes! 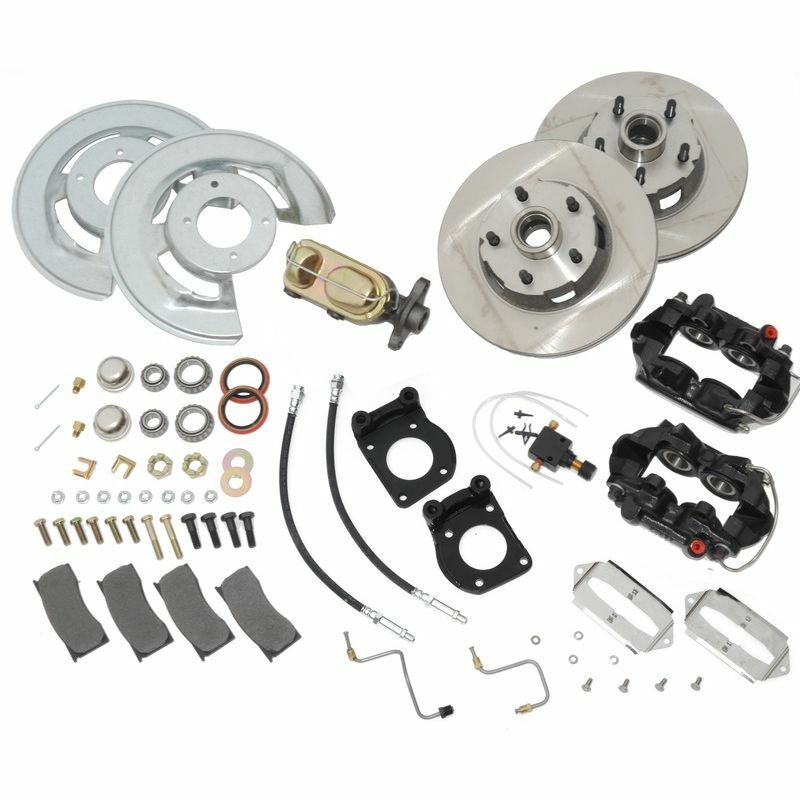 The SSBC Performance Brake Systems 4 piston front disc brake kits are the most complete and highest quality product on the market today! These kits feature a 4 piston caliper that is 100% Made in the USA! The calipers include stainless steel pistons, transfer tubes and bleeders. They also have an e-coat throughout the caliper which makes the entire caliper corrosion resistant. All kits come complete with all the necessary components to make for an easy installation. SSBC boasts over 34 years of manufacturing and engineering the finest disc brake products. Their highly trained technical staff set the highest quality control standards and possess up to the minute design, engineering and testing capabilities. Their commitment to customers doesnt stop there. The SSBC staff works diligently each year, developing and perfecting new products to meet your braking needs. Includes dual reservoir master cylinder. Master cylinder will not bolt to stock booster on vehicles with O.E. power drum brakes. Rotors available with optional Turbo slotting and Xtra Life plating.